What is the Duke of Edinburgh’s Hillary Award and why should I get involved? 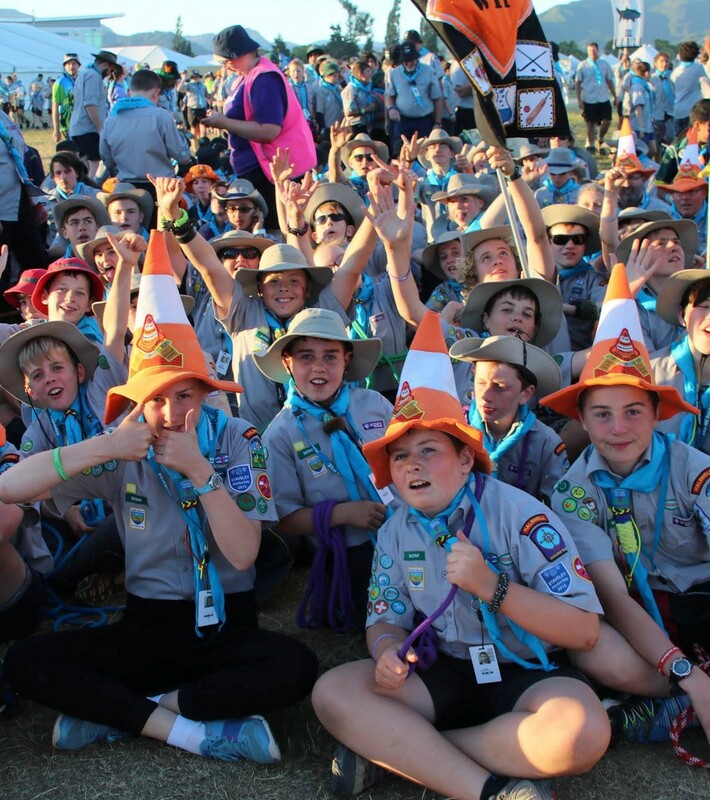 As a member of SCOUTS New Zealand you can undertake a wide range of awards and qualifications. Do you also know that you can also achieve the Duke of Edinburgh’s Hillary Award? The concept of the Award is simple – anyone aged 14 to 24 can do a programme at one of three progressive levels which, when successfully completed, lead to a Bronze, Silver or Gold Duke of Edinburgh’s Hillary Award. Because Award programmes are all about getting out there, having fun and self-development, everyone can achieve something. You’ll find yourself helping people or the community, getting fitter, developing skills, going on an expedition and at Gold level only, taking part in a residential activity. What do I need to do to achieve my Duke of Edinburgh’s Hillary Award? The programme is made up of four sections (five at Gold). Over the required time you’ll need to do each activity for an average of an hour a week. You’ll need to show persistence, commitment and personal development. How do the activities overlap? Step 5: Once your Award programme is complete, speak to your Leader or Co-ordinator who will arrange for you to receive your certificate or badge. They can also advise you about starting the next level of the Award if appropriate. 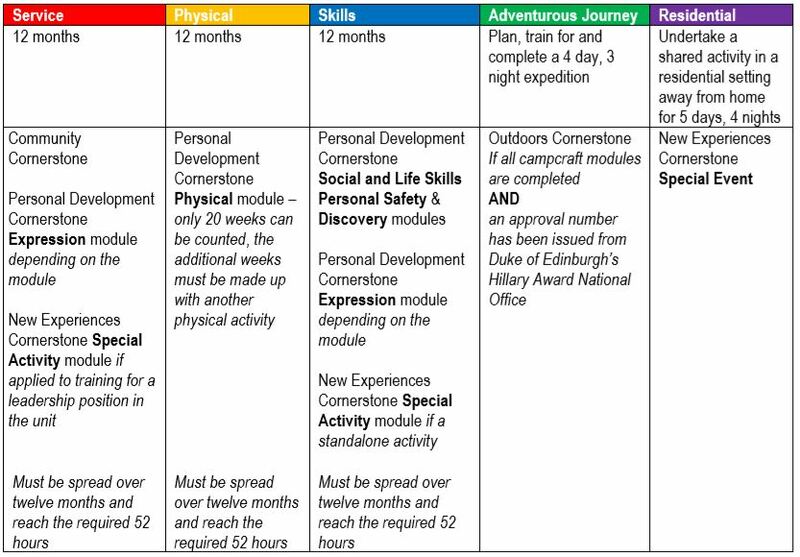 In the case where a participant has undergone Bushcraft training during their time with Scouting and can be assessed as having a skill set that matches The Duke of Edinburgh’s International Award requirements, the Venturer or Rover Leader may sign the training pages as shown below on the understanding that the leader has verified that the skills are current and up to the standard required for the DofEIA Level being undertaken. 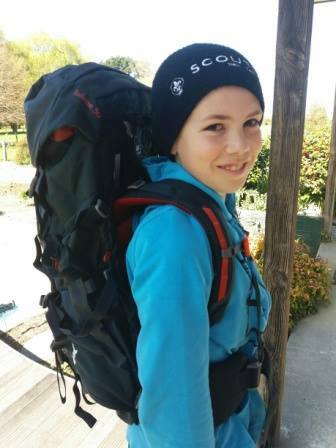 Any Scout, Venturer or Rover may claim up to three months RPA for activities that accredit to an Award section (in addition to the Adventurous Journey RPA) provided that sufficient proof is sighted by the Award Leader and the Award Leader is comfortable that those activities took place. This could be activity from the previous Scouting level (Scouts, Venturers) and may only be used once at the Award level the Participant begins their Award journey at. Bronze participants may only use RPA for their major activity. The time it will take to complete your programme and achieve an Award is in many ways down to you. 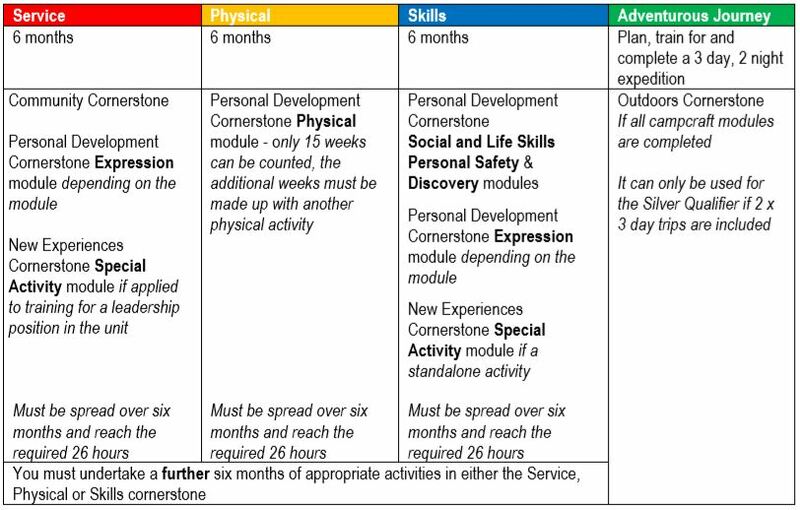 The shortest time in which you can complete your Bronze programme is 6 months; your Silver programme, 12 months; and your Gold programme, 12 months. During your programme you’ll need to do each activity for an average of an hour a week over this time. Don’t forget – you have until your 25th birthday to complete any programme and achieve an Award! Talk to your Leader to get more information and take a look at SCOUTS website. Original generation time 3.1874 seconds. Cache Loaded in: 0.0007 seconds.